Natural looking breasts is the goal of any breast lift or augmentation, but worrying about a silent rupture can be overwhelming for many women. The new technology used in the IDEAL IMPLANT® Structured Breast implant means women can now have the best of both worlds – peace of mind that comes with saline Implants and the natural appearance of silicone gel implants. The results speak for themselves in Dr. Setty’s breast implants before and after photos. 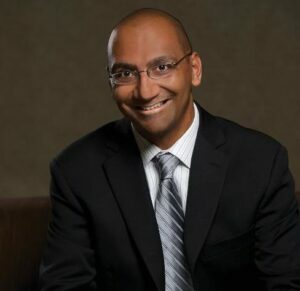 Dr. Naveen Setty is a board certified plastic surgeon who trained at some of the most prestigious schools around the country. He is a member of the American Society for Aesthetic Plastic Surgery with experience in a range of plastic surgery procedures. Dr. Setty believes that patient care is of utmost importance and does whatever he can to ensure your needs are met and your quality of life has improved. Dr. Setty’s patients enjoy knowing they are cared for by a doctor who is so highly skilled and committed to their plastic surgery. Dallas women do not need to compromise when it comes to their breast implants. With Dr. Setty and the IDEAL IMPLANT they can have peace of mind and a natural look and feel. Considering breast implants in Dallas? Contact Dr. Naveen Setty today to discuss your options. Simply call (214) 842-6960 or visit https://www.settyplastics.com/. Dr. Setty’s office is located at 175 Ridge road,Suite 200, McKinney, TX 75070. Call today for more information on IDEAL IMPLANT® Structured Breast Implants.